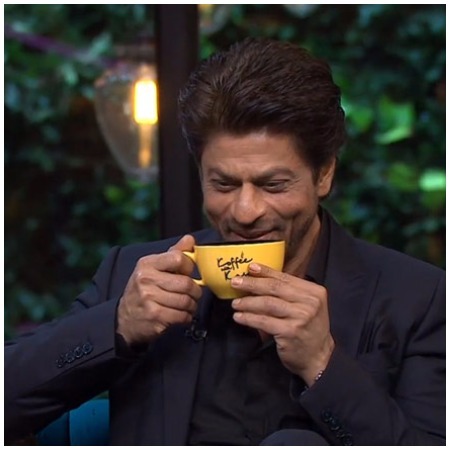 Admit it, all of us had been waiting with bated breath for the fifth season of ‘Koffee With Karan’ to kick start, and why not? The cheekiness, the gossip, and the side of our stars that we love to see, all of it is wrapped up in these fifty minutes, with the quintessential whacky and candy floss touch by host Karan Johar who fires away sans inhibitions. The first episode that hosted the team of ‘Dear Zindagi’ Shah Rukh Khan and Alia Bhatt, aired yesterday, and boy, we were floored. Was the wait worth it? You bet it was. Here are a few moments from the episode that made us go everything from ‘aww’ to ‘haww’. When Alia was awkward and adorable like any youngster caught between two elders. 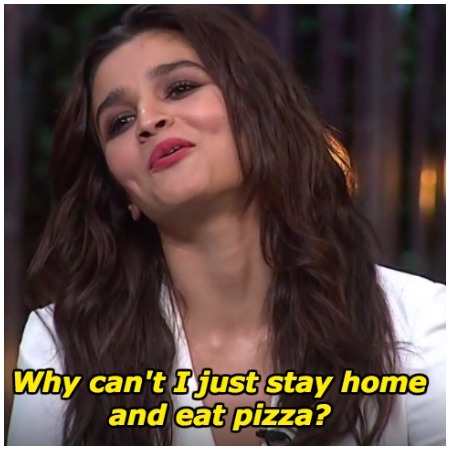 Alia was an honest voice when she stated that she is a private person and does not like speaking about it in public for it takes away the attention from all the hard work that she has done in the movie. When Shah Rukh Khan wanted to kill Anushka Sharma, and friend-zoned the most beautiful woman, Aishwarya Rai Bachchan, though all in good humour. 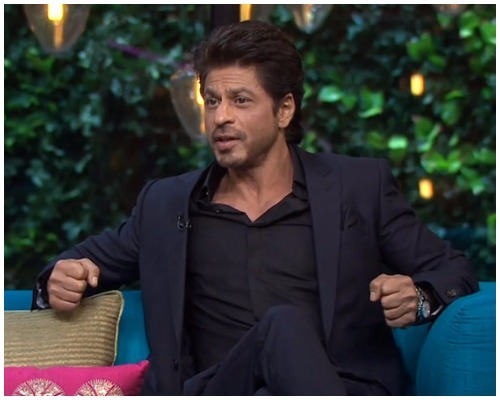 We just went ‘ewww’ when SRK said that he would want to be in the remake of ‘Fifty Shades of Grey’ with Alia Bhatt. Safe to say that we would never want to see these two romantically involved on screen. Shah Rukh was on point when he imitated Alia, and totally embarrassed the poor soul. We got to see the paternal side of Shah Rukh when he said that he just cannot imagine that like Alia, Suhana too has the possibility of dating a guy. When Alia Bhatt got beaten in the rounds just by a margin, answering most of the general knowledge questions, with a breeze. Well, there were many more moments, and we are sure that you would not want us to reveal all and everything. Switch to Star World now and catch all what’s happening, or if you have missed the episode yesterday, no worries, you can always watch it on Hotstar. We just can’t wait for the next episode.